Hi student! Remember to login using your school's login link. Ask more from your teacher! 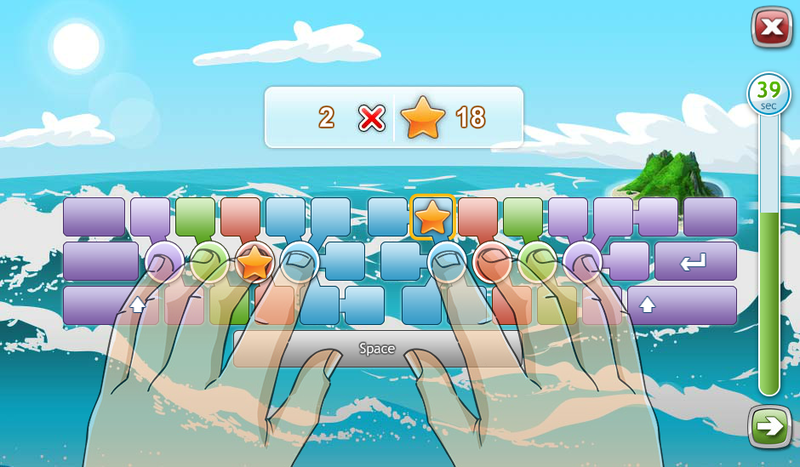 Double Your Typing Speed using Touch Typing! 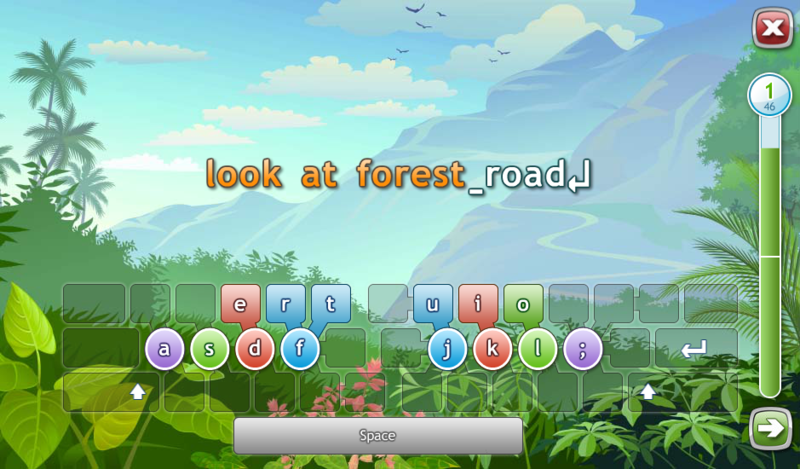 Typing Quest is a web-based typing course that teaches you the efficient touch typing method. 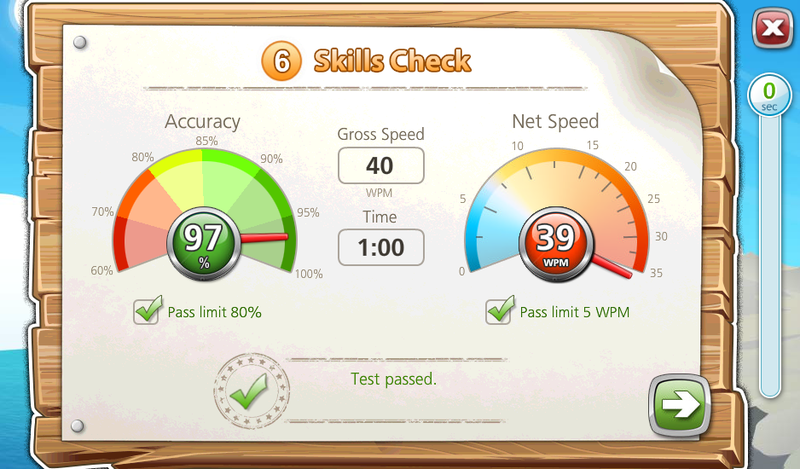 As a result you will double your typing speed and eventually type as fluently as you speak. The comprehensive study material covers the entire keyboard from letters and punctuation to numbers and symbols including the numeric keypad. You will acquire the core skills in five hours and can then complete additional courses to hone technique and build up speed. Learn to type letter and the most common punctuation marks using touch typing technique. 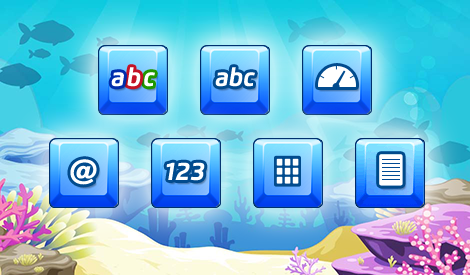 Additional courses will help you to take control of the keyboard, including numbers and symbols. Where is the key located and which finger do I use to press it? 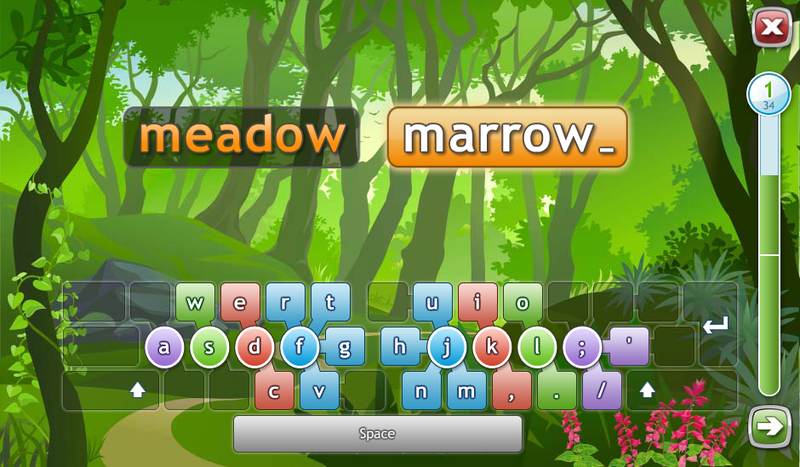 The on-screen keyboard makes it easy to learn new finger movements by visualizing the path fingers should follow. It’s recommended to always do a warm-up before exercising! 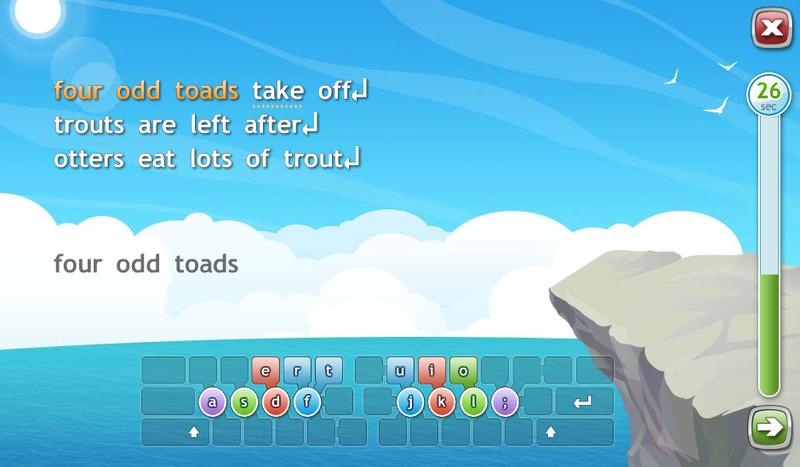 Each Typing Quest lesson begins with a unique warm-up drill that focuses on motor skills and smooth finger movements. Some words are more difficult to type than others. 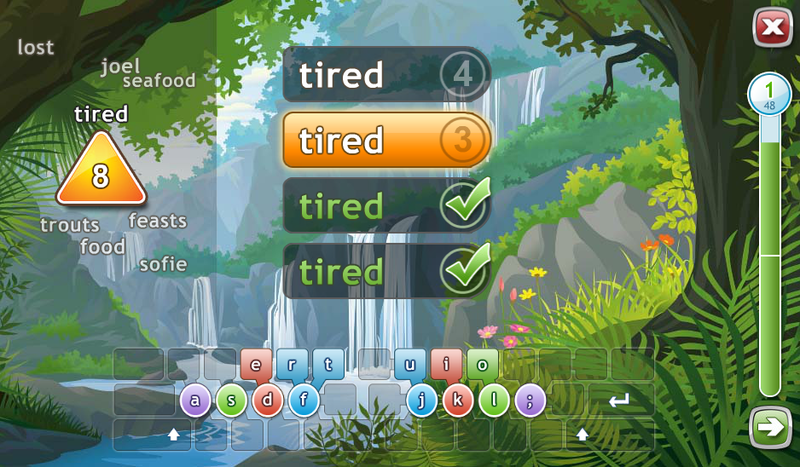 Typing Quest tracks mistyped words during exercises and then presents those tricky words for additional practice in a special review drill each lesson. Feedback is an important part of learning. After each exercise students will see a visual scorecard that provides an intuitive way to assess skills and track progress. At the end of each lesson there is a lesson exam to assess your skill level. 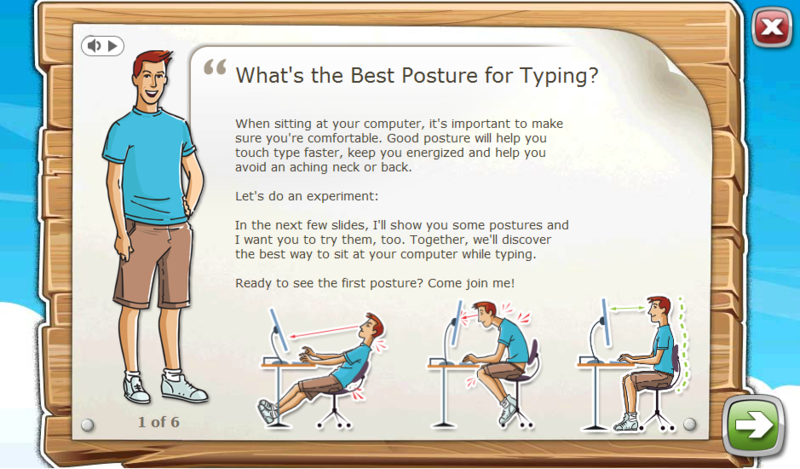 Visual guidance slides with full voice-over to help acquaint you with the different aspects of the touch typing technique and ergonomics. We welcome you to sign up to Typing Quest without any obligations! 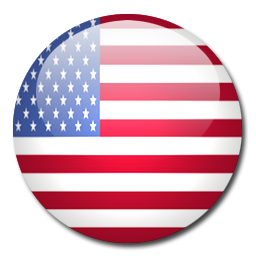 After signing up you can complete the first lessons, typing tests and games free of charge. If you like what you see, you can purchase access to the entire study material including 6 courses and over 10 hours of training material. Purchasing takes only a minute or two. To begin, please sign up or login first, then click on the purchase link and follow the instructions. You'll gain access to the entire study material immediately after the purchase has been completed.